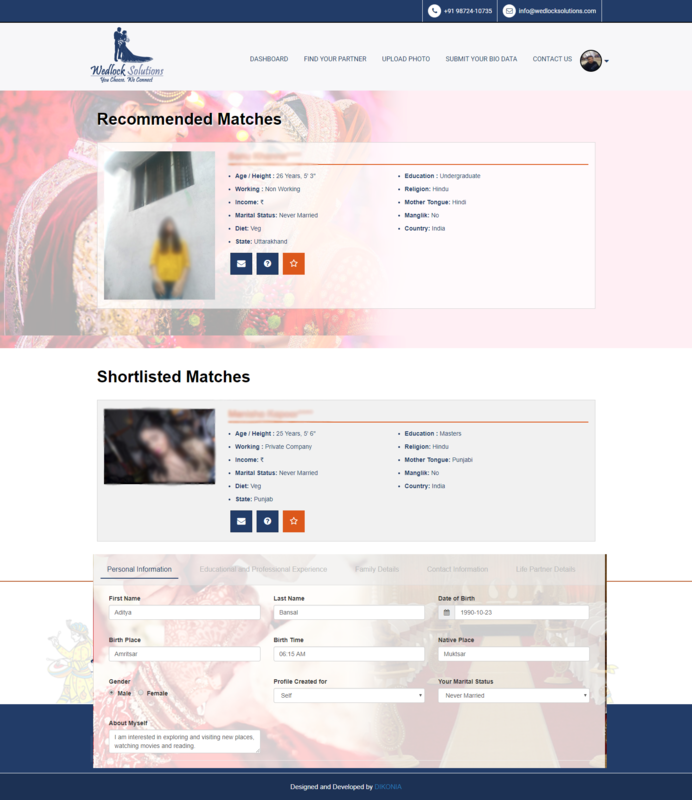 A client needed to start-up in matrimonial industry and a robust match making website was required for the same. 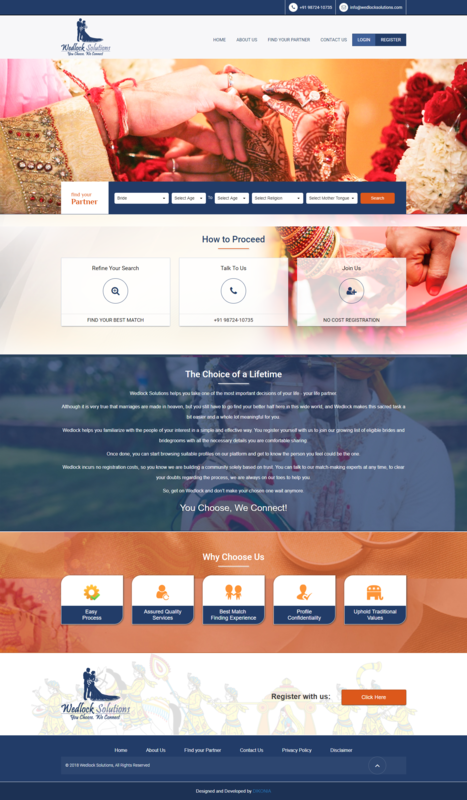 Team Dikonia were contracted with the job to build custom website with lot for features for both admin and users. The task was done using Laravel technology for sustainable and scalable development. User interface - An interactive design was built with improved user experience for the users. The website’s design was ensured to be responsive and cross-browser compatible so that optimal performance and experience was achieved on all devices and browsers. Notifications - There are different email notification alerts send to both user and admin. The user gets notifications like profile verification, new recommended alerts, etc. on the registered email address. Admin has various alerts setup as well which include new registrations, new biodata submissions, queries/interests from users, etc. Admin panel - It is an important aspect of website where admin is able to manage all his activities like receiving response/queries from users, approve or disapprove users, search suitable match etc. The admin is able to add user’s biodata manually. Login details are automatically created for such users and sent to provided email address. Other features for Admin include ability to download photos and ID proofs submitted by users and pdf export their profiles. 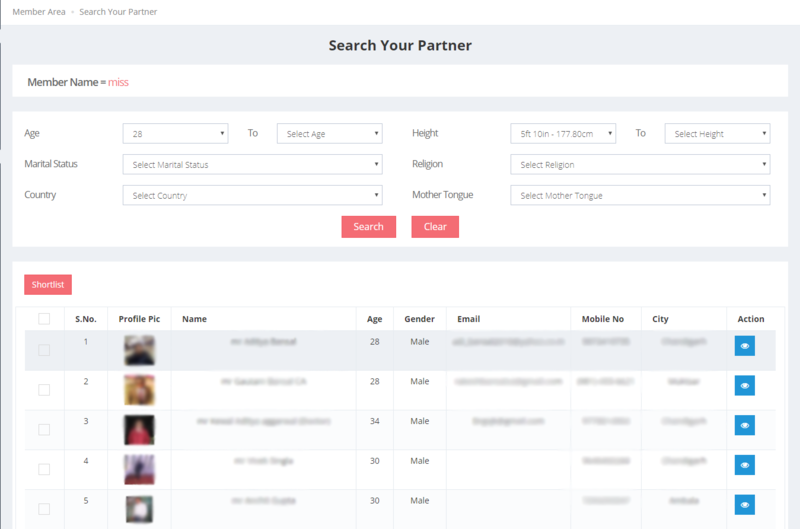 Match making Algorithm - Based on the given information by the users, there is a matching algorithm in place that searches for suitable profiles automatically and recommends them to Admin. Admin can also manually search for matches using various search and filters setup in the backend. I came to Dikonia with little knowledge of how I wanted my website to work and look like. Chhavi and her team guided me throughout the process and it was very easy to working with them. 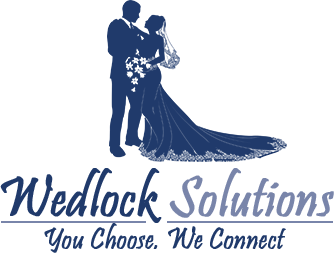 The website was done very quickly to meet my deadline and at the same time quality of website was also ensured. 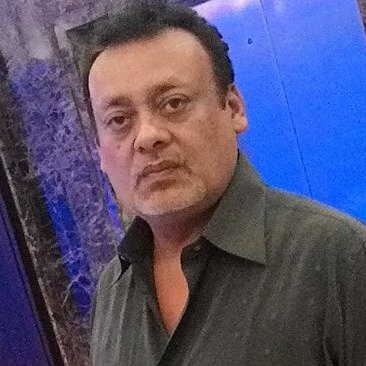 Post launch issues were taken care of quickly and am definitely considering to work with them again on updates and future projects.